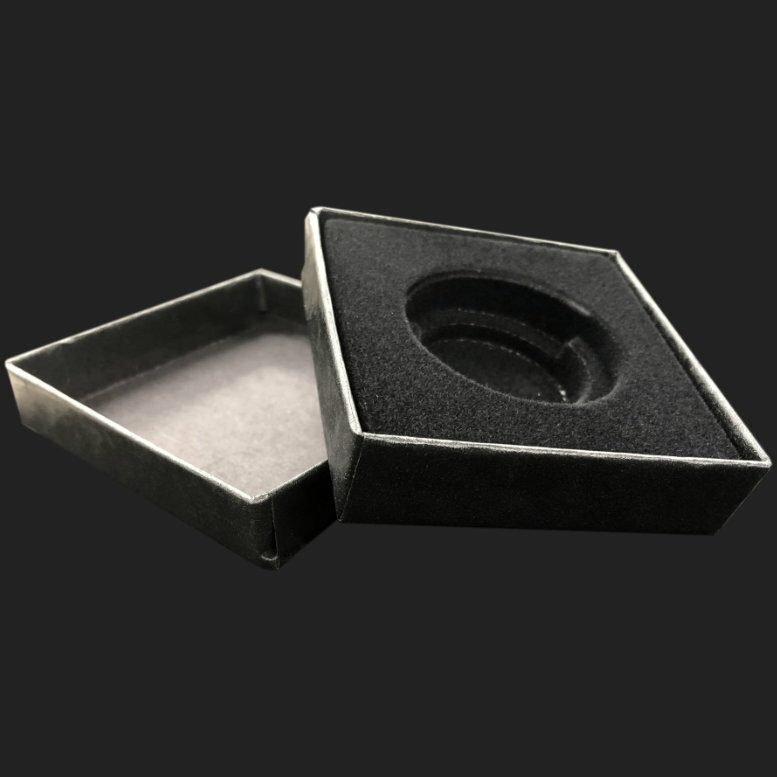 These are Antiqued using a "by Hand" method so each item will be slightly different with a unique application of the process. 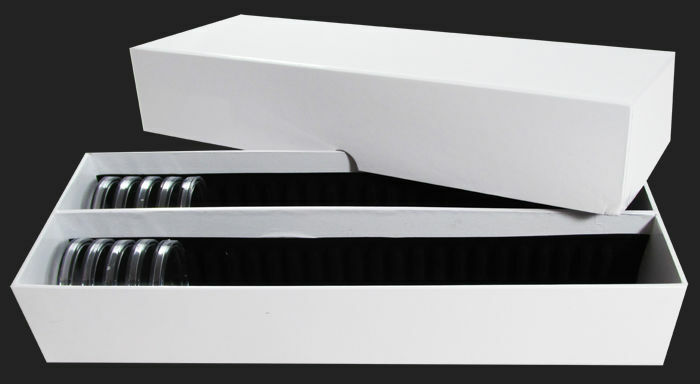 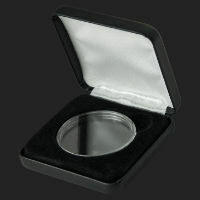 Each item will not be identical to each other or the pictures shown above to represent this product. 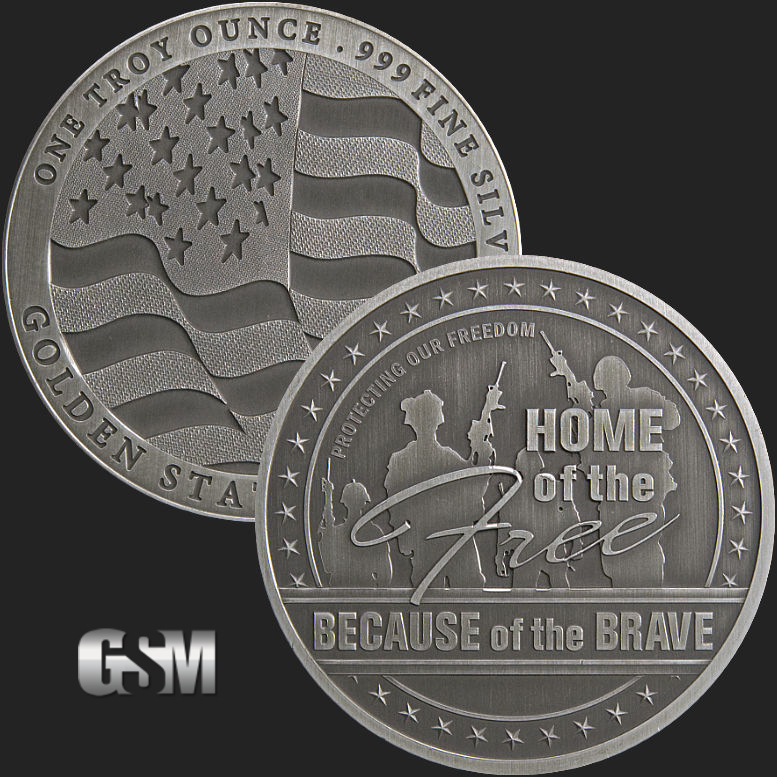 Golden State Mint is proud to offer our beautiful GSM Home of the Free Because of the Brave Antiqued. 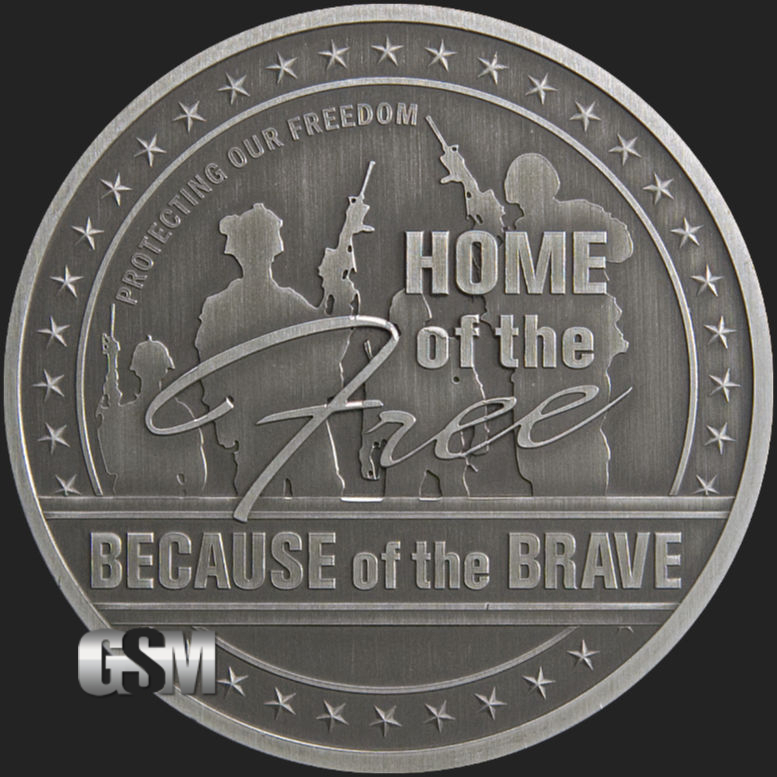 On the obverse, there are the words Protecting Our Freedom and Home of the Free Because of the Brave across silhouettes of armed soldiers. 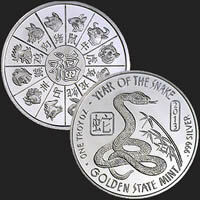 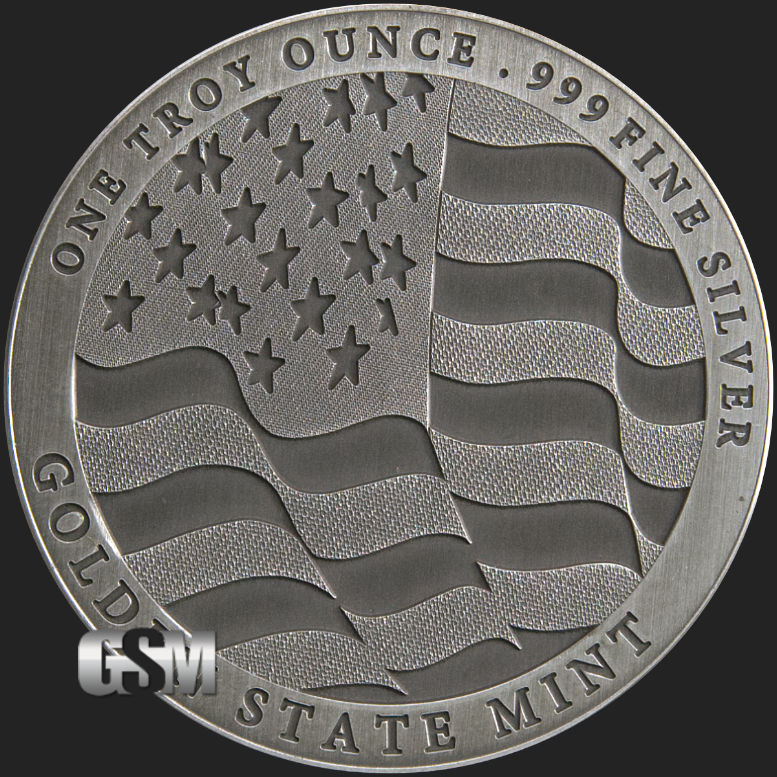 On the reverse side, you will find a waving flag and around the rim the words One Troy Ounce .999 Fine Silver and Golden State Mint. 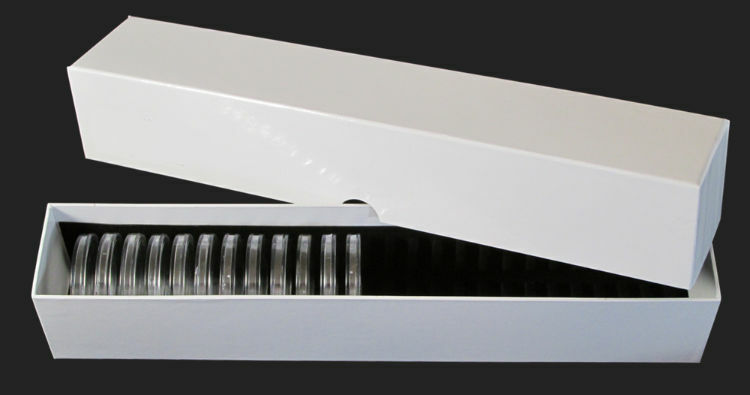 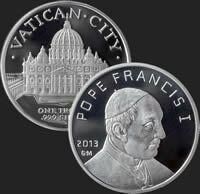 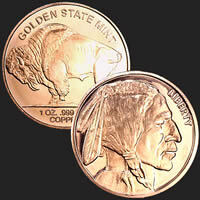 We will be offering this design in various sizes in Silver, Gold & Copper bullion.